Nearly four decades of research has shown that intelligence is not fixed as scientists used to think; rather, people can develop their brains like a muscle if they put in the effort. People who do that – persisting despite obstacles – can be said to have a growth mindset rather than a fixed mindset and they enjoy significantly more success than their fixed-minded peers. 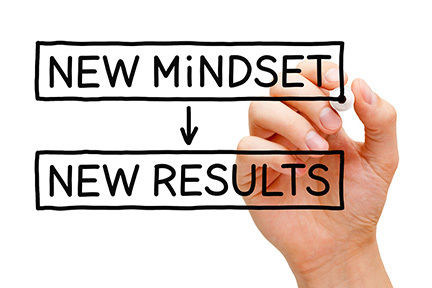 In this article, we define and compare these two kinds of mindsets, and outline the benefits of developing a growth mindset. Mindsets are held together by beliefs: beliefs about yourself and your most basic qualities, beliefs about the world, and beliefs about what is possible to change and what is not. For example, when you think about your intelligence, your personality, or your moral character, do you believe that these aspects of yourself are fixed – “givens” carved in stone that you are “stuck” with for all your life? Or do you suspect that, with the right experiences and effort, some of these qualities could change? Through her many decades of systematic research, author Carol Dweck has been figuring out why some people achieve their potential and others don’t. The key, she discovered, is not ability; rather, it’s whether the person views ability as something innate (which must be demonstrated) or something flexible, which can be developed (Dweck, 2010b). Let’s look at the two contrasting types of mindsets generated from those beliefs. You have a performance orientation. If you think you cannot ever be smarter than what you are right now, but you still want to look smart (which just about all of us do), then obviously the name of the game is showing how smart you are: again and again, at every opportunity. Certain ways of behaving go along with this. You avoid challenges. Obviously, the point of a challenge is that it’s something difficult. Success is not necessarily assured, so fixed-mindset players don’t generally take on the risk of failing and therefore negatively impacting their carefully-crafted self-image. If you are in this camp, you will stick with what you know for sure that you can do well. You give up easily in the face of obstacles. Again, there is logic in this behaviour. If you think that, no matter what you do you will still be stuck with your, say, “average” brain, then you may very well conclude that the obstacle confronting you is not something your mind could undertake to solve. If you don’t have enough “smarts” to solve it at first glance, why waste time searching for a solution to a problem that you are ultimately going to be incapable of solving? Rather, you will look for excuses to explain why the external forces that got in your way were simply too powerful. You do not put in effort. If the issue is around practicing something until you gain mastery, you are likely to think, “Well, if I were a ‘natural’ with ‘the right stuff’, I would be able to do this right away.” It seems there is no point in putting in effort, because even if you practice, you will still only be “ok” and not “great” if you have determined that you have a “fixed” level of skill. The night owls among us can be grateful that Thomas Edison, who invented the light bulb, didn’t take that approach; he tried around 2000 times before making the first successful bulb! Any bets on how good Lionel Messi or Stephen Curry, two of the world’s most skilled athletes (in football/soccer and basketball, respectively), were at controlling the ball when they started, com pared to where they are now? You avoid criticism. With a fixed mind-set you would tend to confuse negative feedback about a particular performance or capability with criticism of you as a person. Being criticised at our core is scary, so most people who cling to this way of doing life tend to ignore negative feedback, or else feel insulted by it. The problem is that feedback is the breakfast of champions, so once we have discouraged people from giving it to us, we become starved of the information – isolated from external influences – that could generate some positive change. You feel threatened by others’ success. Subscribing to a fixed mindset means that others’ triumphs are cause for concern; their demonstrated capacity to prevail seems to make you look bad by comparison. What is the logical response? Such a player will usually try to convince him/herself that the other person’s success was due to “luck” or to actions which were somehow “bad”: lacking integrity, unfair, or an illusion. Some fixed-mindset proponents are known to tarnish the reputations of their rivals. There is, we now know, another choice. You can subscribe to the growth mindset instead. Membership in this mindset means that you believe intelligence can be developed, that the brain is like a muscle that can be trained. The consequence of that belief is that you will have a desire to improve. You will typically do this in several ways. You grab onto challenges. Where your fixed-mindset peers are terrified of challenges (which might show them in an unfavourable light), you embrace them, knowing that – when you come out on the other side of them – you are stronger, an improved version of yourself. You keep on in the face of setbacks. You aren’t discouraged by external obstacles because your sense of yourself and your self-esteem is not tied to how successful you look in others’ eyes. Because you see “failure” as an opportunity to learn, you win no matter the outcome is: whether the setbacks are overcome or not. You see effort as necessary to master skills. Rather than avoiding effort as pointless, you realise that it is necessary in order to grow towards mastery of the skills you wish to have. You take on criticism and negative feedback. You have a sense of who you are, so you know: criticism and negative feedback is “just information.” When comments are useful, you integrate them, know that through them you can change and improve. You don’t generally regard criticism as a reflection of the essence of you. Rather, it is a statement about your current capabilities – which can change. You find inspiration and information in others’ success. Rather than feeling threatened or diminished by the success of peers and others, you celebrate it, seeing what you can learn from it. Others’ gains are not your losses (Richard, 2007). You can forget about how smart you are. You become oriented toward actual learning rather than trying to look like you have learned stuff. Think about it: if you know you can be getting smarter by putting in effort on some challenging problems, why would you waste time merely trying to look good? When you have a growth mindset, you realise that putting in the hard yards on actual tasks – not on contriving to look smart – will get you smarter. You are encouraged to try things, and to keep on trying. In taking on a growth mindset, you allow yourself to be challenged by some meaty problems. You come to enjoy the effort of applying your resources to a problem and feel smart when you are involved in something. Putting in effort is a natural and enjoyable thing to do. You embrace mistakes and setbacks. You come to understand that errors and setbacks are an inevitable part of learning, so instead of fearing them, you welcome them, capitalise on them, and grow from them. You know that they do not reflect poorly on your intelligence or ability (Dweck, 2012). With a growth mindset, you get better at doing things, which generates positive feedback to you. Getting that, you are encouraged to learn and improve still more. With the growth mindset, you can make dynamic strides in performance. Carol Dweck and her colleagues have done much research examining the differences between people who adopt a growth mindset and those who have a fixed mindset. Here is some of what they have found. Blackwell and colleagues also conducted a study with adolescents in which they divided the students into two groups for a workshop on brain and study. Half of the students were taught about the stages of memory. The other half received training in the growth mindset: that is, how they could grow their brains with learning to make them smarter, and how they could apply this idea to their schoolwork. Three times as many students in the growth mindset showed an increase in effort and engagement as those in the memory group. After the training, the memory group’s grades continued to go down, whereas those in the growth mindset group showed a rebound in their grades (Dweck, 2012). A third study of teenagers – again divided into a group who received growth mindset training and a group who received other training – showed that the growth mindset training group had significant increases in their math and verbal achievement test scores. Even more interesting, girls don’t normally perform as well on maths tests as boys, but the growth mindset training girls narrowed the gap in maths, coming closer to the boys’ achievement (Dweck, 2012). Austin, A. (2015). Practical savvy: Solutions to everyday problems. Practicalsavvy.com. Retrieved on 23 December, 2015, from: hyperlink. Dweck, C. (2012). Motivate students to grow their minds. Mindset Works, Inc.. Retrieved on 23 December, 2015, from: hyperlink. Richard, M.G. (2007). Fixed mindset vs. growth mindset: Which one are you? Michaelgr.com. Retrieved on 23 December, 2015, from: hyperlink. Contact Peter on 0414.282.977 if you would like to know more about developing a growth mindset.